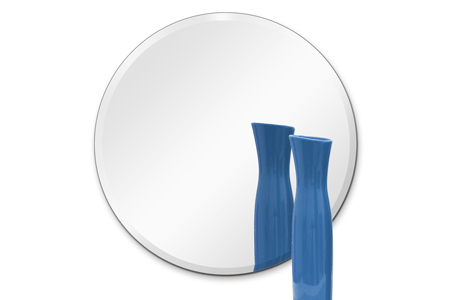 Add depth and spaciousness to a room with a mirror created by Dulles Glass & Mirror. This 36" round mirror features a carefully crafted 1-inch polished bevel. With Hooks Option: Two hooks allow the mirror to be fastened to drywall, studs, or wood.